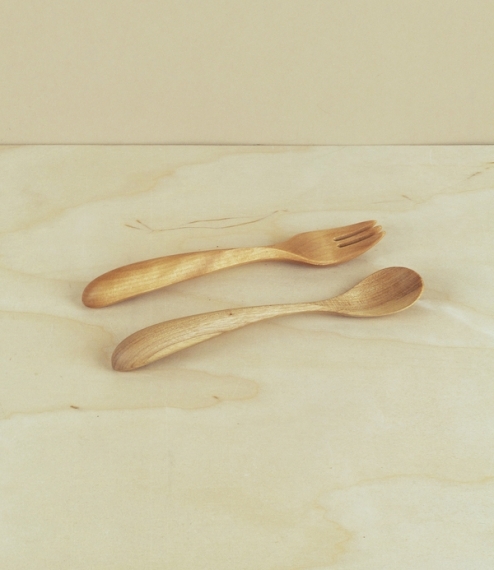 Small chlidren's forks and spoons hand cut, ground, and finished by Inoue Hiroyuki of Atelier akarino-tane in Asahikawa City, of birch cut from the forests of the surrounding Hokkaido mountains and finished with a mixture of walnut oil and beeswax. This area is renowned for its long cold winters which perhaps grant the birch growing here a resilience in common with those from which kuksas are cut in northern Scandinavia, making them the ideal timber from which cutlery might be carved. Light, low impact and easy to grip. 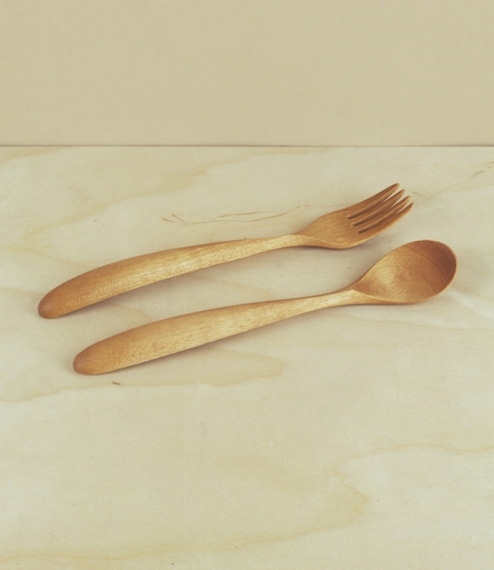 The forks measure very approximately 140mm x 25mm x 20mm, the spoons 140mm x 30mm 20mm. Sold individually.